There are a few very important issues that cause people to be “weight loss resistant”, one of the prominent reasons is that our bodies become overburdened with toxins and our health suffers. The level of pollution that we are exposed to compared to our ancient ancestors is like night and day. They experienced an occasional run-in with an odd toxic plant but today it’s hard to escape being exposed to these toxic substances on a daily basis…they are everywhere. These toxins that are continually attacking our cells exist in large amounts in our modern lifestyles. Our body is under constant and continual assault by land, water and air. Toxicity is literally all around us…we simply cannot avoid it and it affects our ability to lose weight. Scientists have known for some time that when we are exposed to toxins they build up and overwhelm our body decreasing metabolism and promoting fat storage. When the kidneys and liver cannot keep up, the body tries to store that toxic waste as far away from important internal organs as possible. The body increases fat storage so it has somewhere to store the harmful toxins. It fills up those extra fat cells with the harmful substances then it locks them down. This is a protective mechanism to keep from having this fat released back into the bloodstream putting the body at risk of damage. It protects us but at the same time we can no longer wear our “skinny jeans”. 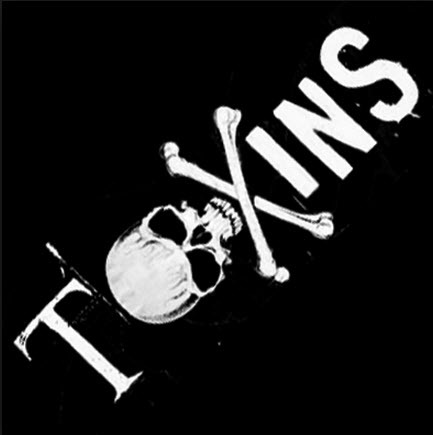 How do we detoxify ourselves and get rid of these toxins? Even though we cannot avoid toxins altogether, there are three main things you can do to limit or help your body deal with these toxins. Supplying your body with its preferred nutrients to cleanse itself. Get your body moving which allows it to detoxify itself. Toxic bodies shut down their capacity to burn fat. And, that’s not a good thing. A huge part of beating the weight loss resistant puzzle is by decreasing your exposure to toxins especially in food and incorporating an intensive, regular exercise program. When you detoxify your body, you will lose excess body fat naturally, you will feel lighter and cleaner than ever before. Your body can then start to self-heal, which includes excess body fat. You will also boost your energy levels so you will WANT to be more active. Your health dramatically improves, your lifestyle-induced diseases (obesity, diabetes, cancer, heart disease, etc.) are reversed and you look and feel younger; you age slower. Don’t give up the battle just because your body has been fighting weight loss. Grab “Stop Weight Loss Resistance” and find all 6 surefire solutions to why you can’t lose that stubborn weight.